So I was having drinks with friends in the Financial District today. 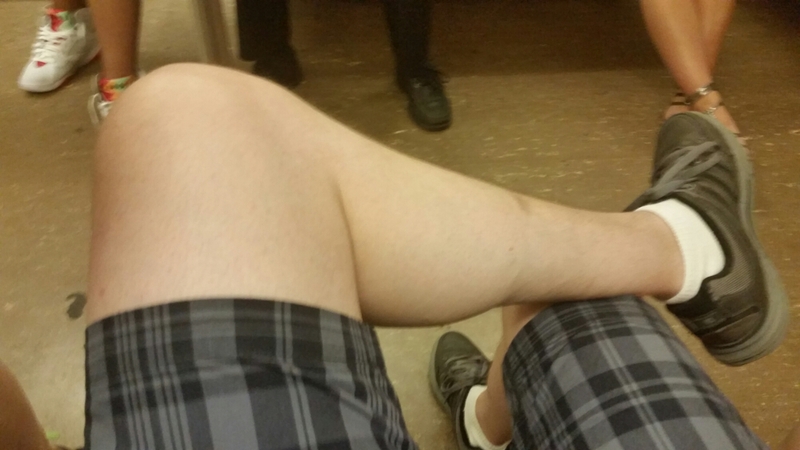 I came in from Brooklyn on this 88 degree day (not taking humidity into account) so I wore shorts. Though my grandparents were from Italy, I am very much not a stereotypical olive-skinned person of Italian heritage. 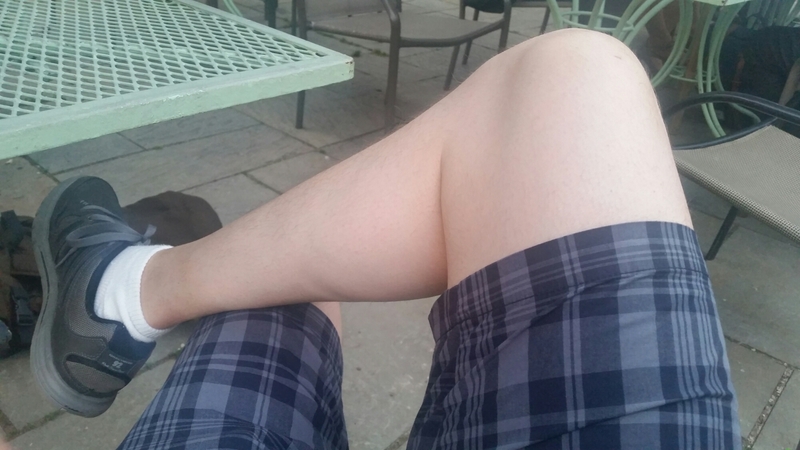 Also, it’s Skirt Season so yes I’ve been taking on the sites of the lovely ladies’ lovely tanned legs parading around for all to enjoy. Then… ugh. Come on, GRex… you’re not doing your part. And I’m still unemployed. As long as that’s still going on, I really have no excuse for being pasty. I’m lucky that we’re all the same shade when the lights dim or go out. Mona’s spending the night on Saturday. Im irish n german. I gave up being tan years ago lol. Dude, not only are you pasty, but your socks are falling down 😉 Sorry, couldn’t resist. Do what I do, I am so white, I’m purple. I use Jergen’s natural glow or Suave’s Visable Glow lotion. I managed to get a decent amount of color or spray tan…. Unfortunately, no amount of tanning for me will hide the purple. Stupid Raynauds…. LOL – being as I am unemployed, too – I do have some color – I get an hour here & there when I can 🙂 I need the Vitamin D! Sending good thoughts regarding the job! Before I started running, I was paper towel white. Now I’m 50 shades of tan lines…and my calves are the whitest. I wish mine was a farmer’s tan. That would be less awkward.